I love banners! Or, at least, I seem to be making them lately for every occasion! So, here are 2 Easter banners I made. The Easter Bunny one is SO easy and I love the way they both turned out! This idea came from She's Kinda Crafty and I just followed all of her directions! It's so cute! This banner was more time consuming but turned out so pretty! I used my Silhouette to cut 7 banner pieces out of white cardstock (using Lori Whitlock's "happy birthday banner 2"). Then, I added a cross shape to the first and last banner pieces and the letters R, I, S, E, N to the middle five banner pieces (using Elephant font) and cut all of these out of white cardstock as well (so, you'll have a top and a bottom for each of the 7 banner pieces). 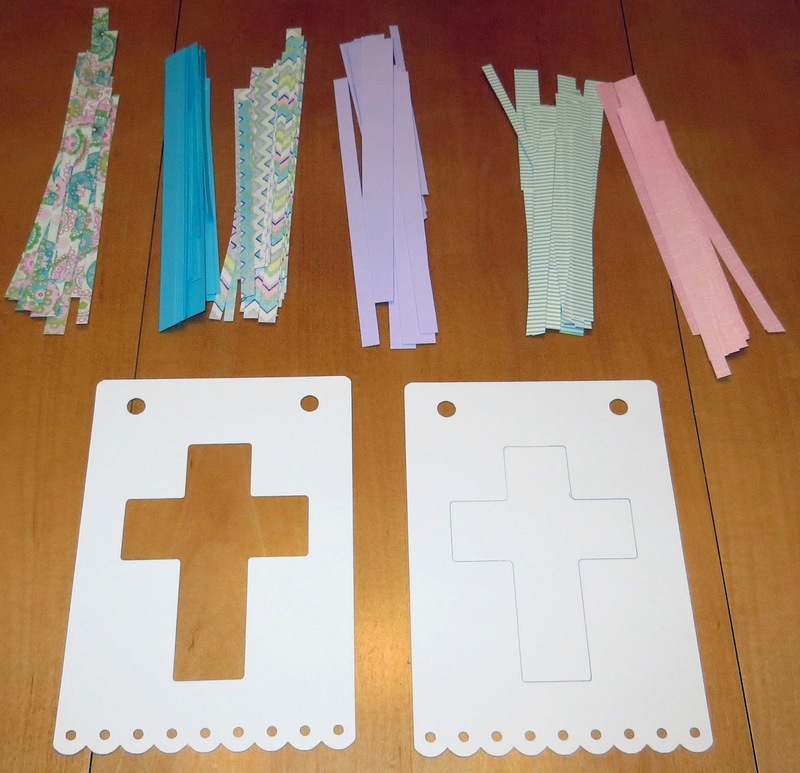 Then, I used the same scrapbook papers I used for the Easter Bunny banner to make strips of paper. For each banner piece, I traced the cross or letter onto the bottom banner piece. 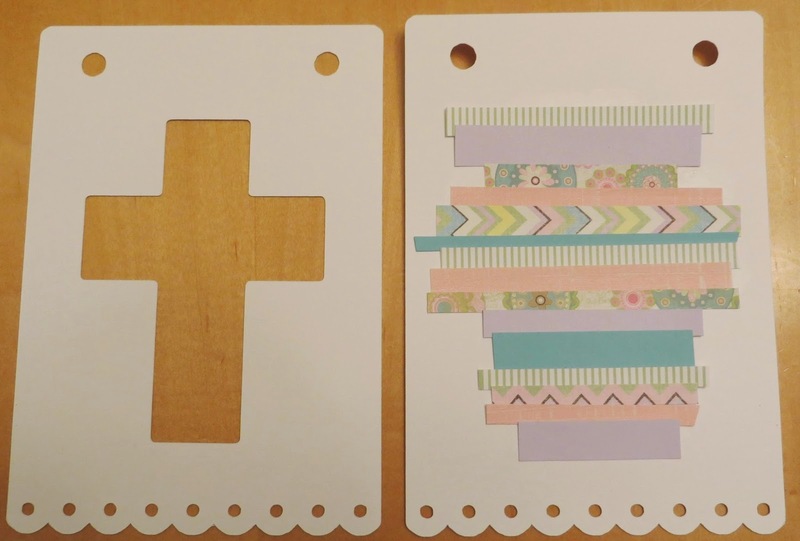 Then, I put glue on the whole traced cross or letter and randomly glued down strips of the scrapbook paper. The next step was to glue the top banner piece onto the bottom banner piece. I then laminated each banner piece and cut them out. Lastly, I put the banner together on a blue ribbon. So pretty!